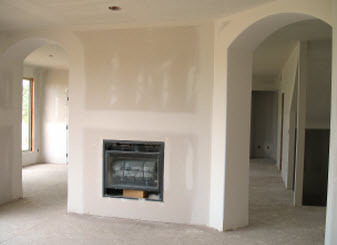 Since 2004, New York Painting Services, a full service painting contractor, has been diligently acquiring a reputable name. Being completely licensed and insured to offer our professional expertise at an affordable rate to the commercial and residential properties in New York and New Jersey, we have strived to deliver 100% satisfaction. 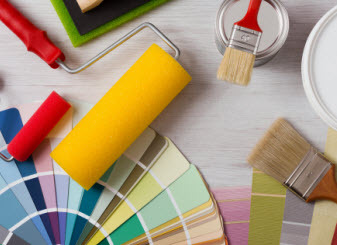 Our valued customers are our greatest asset and New York Painting Services is dedicated to delivering superior quality workmanship and apply friendly customer service and traditional values consistently to make your experience with New York Painting Services phenomenal. Our artisans are among the elite and have the training, experience, and skills to complete any project and with the use of high-end products, materials, and equipment, New York Painting Services can ensure superior results. New York Painting Services is readily available to assist commercial and residential customers with their interior decorating and painting construction needs including the Medieval Interior Design. When it comes to Medieval Design, it tends to draw the characteristics and inspiration from the Middle Period of European history that went on from the 5th century to the 15th century. After the collapse of the Western Roman Empire the Medieval period began and merged in to both Renaissance and the Age of Discovery. Recalling the grand stone castles and wooden dining halls of the era, the Medieval Interior Design creates a dramatic look that has charm and class. Floors, Walls & Structures: When it comes to modeling the walls and overall structure after medieval design, utilize limestone or granite on your walls if possible. If that is not an option, utilize faux painting skills of the artisans of New York Painting Services or laminates can even achieve the desired look. An alternative to obtaining the authentic medieval look is to cover the walls with oak or other dark wood paneling. To complete your medieval design scheme an ideal addition would be to opt for wooden ceiling beams, in a dark, chunky oak. Flooring should be hard surfaces such as rich colored hardwood, stone, tile, or concrete. Painting Colors: Rich colors embody the medieval style. 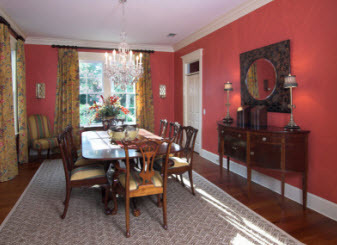 Choose deep reds, greens, and even gold to paint and accessorize. For accents, or if you prefer lighter tones, creams, dusky pink, pale blue and green or rusty colors can optimize the color scheme. For those partial to wallpaper, select any of the previously mentioned colors with patterns like heraldic designs, tapestry-style of floral and foliage patterns, or even the fleur-de-lis. Fireplace or Stove: If you have the space and circumstances, fireplaces make a perfect focal point in any medieval design and stoves in the kitchen can do the same as well. Furniture: For furnishings, to help capture the medieval design, select wood furniture in dark finishes, such as oak or reclaimed lumber and indulge in iron or oxidized copper and brass items, for accent pieces like the chandeliers to add to the medieval atmosphere. No matter how you want to achieve the Medieval Interior Design for your New York and New Jersey home or business, New York Painting Services offers a wide range of services to help you achieve your goals. Contact us today!